The prepared meat products area! Cheese balls, liver paste, orange stuffed duck, roast beef, beef tongue, ham, roast pork, duck mousse, prune stuffed rabbit, crusty pâté, garlic sausages, foie gras, etc. 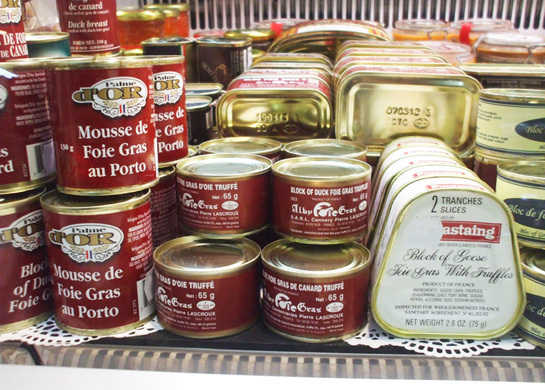 You will be delighted to find in the same corner a great variety of tasty meat products and flavors carefully selected amongst the best French delicatessens!